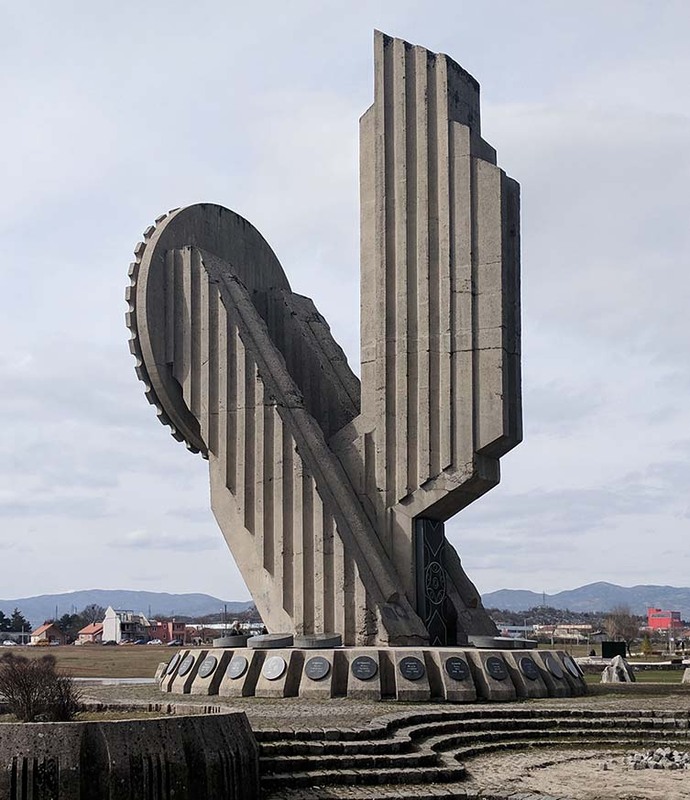 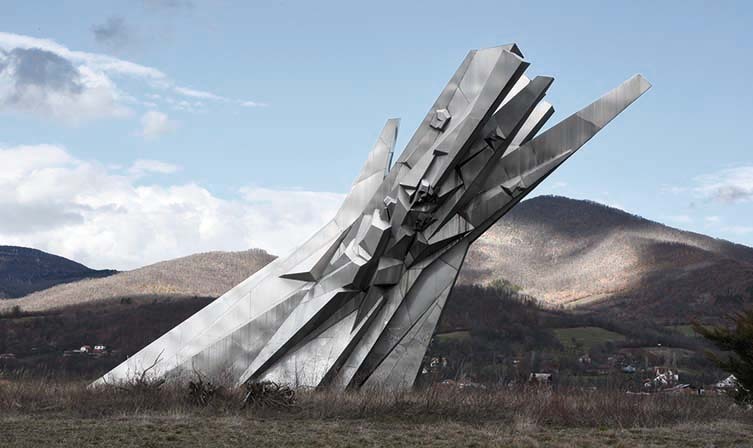 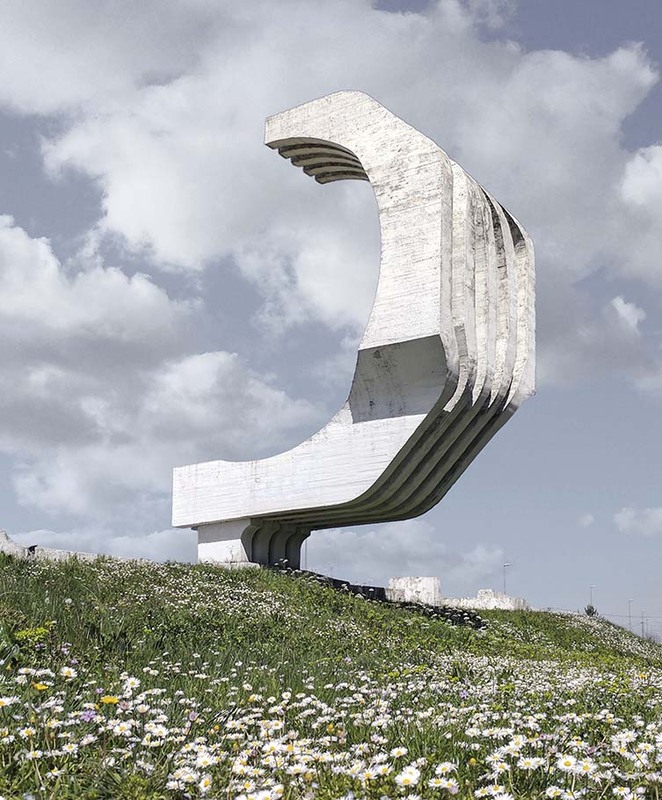 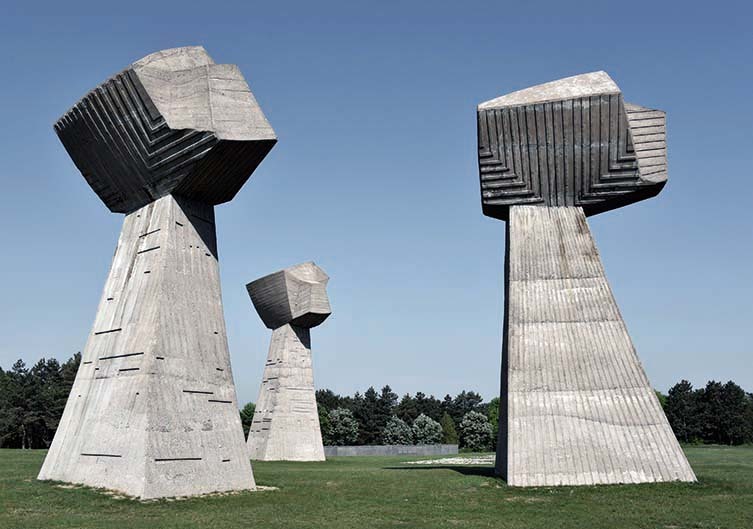 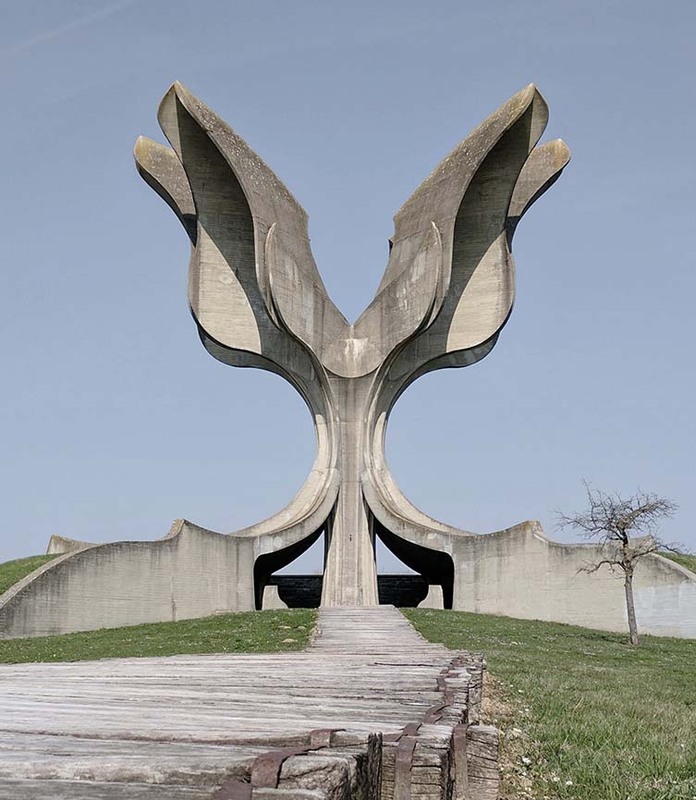 Representing different things to different people, Spomeniks—the Serbo-Croatian/Slovenian word for ‘monument’—are, in the physical sense, a series of structures built from the 1950s-1990s during Josip Tito’s Republic of Yugoslavia. 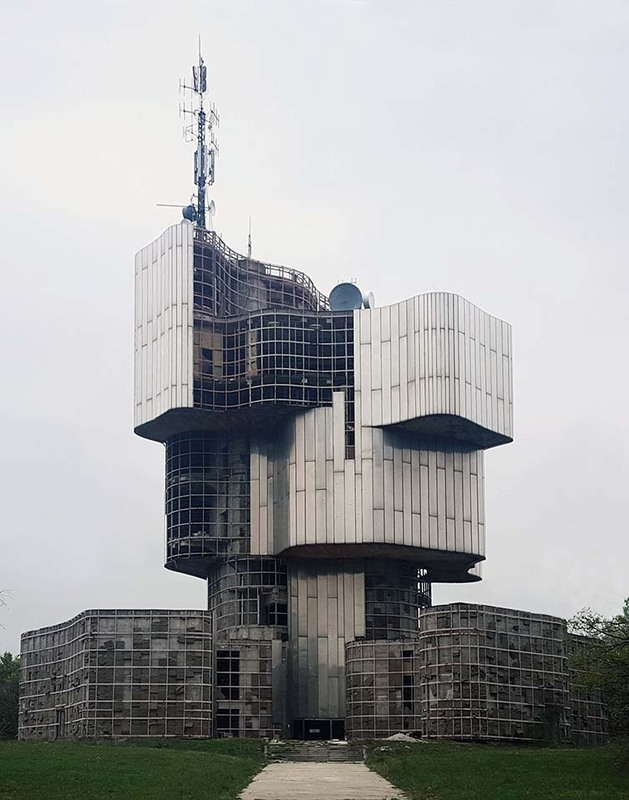 The legacy of a bygone era, they immortalise complex and conflicting sentiments; from brutal war crimes to strange symbolic hope, optimism for the utopian society Tito imagined. 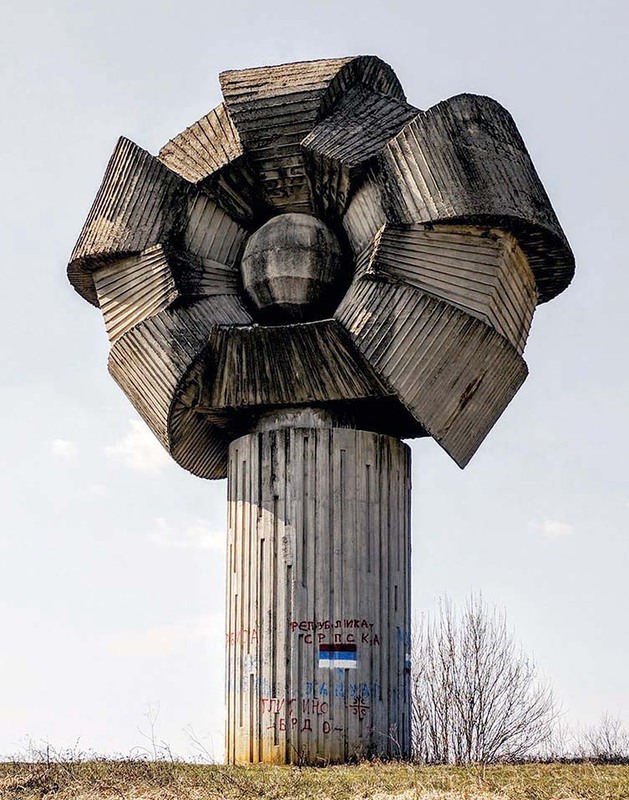 From coastal resorts to remote mountains, hundreds of Spomeniks popped up across the country. 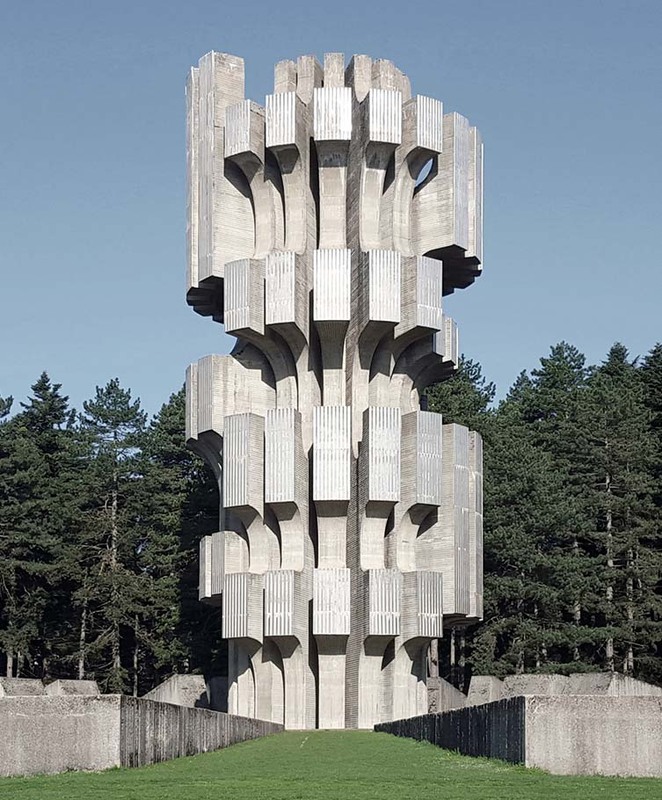 Noted today for their alien-like appearance—noticeably out of place, often imposing concrete built amid natural surrounds—they conveyed a potent story rooted in conflict and a bloody victory against fascism, but also would serve as political devices for communicating the country’s vision of a new tomorrow; many conceived as ‘outdoor classrooms’ from which to impart the history, mythology, and ideologies of Socialist Yugoslavia to the country’s youth. 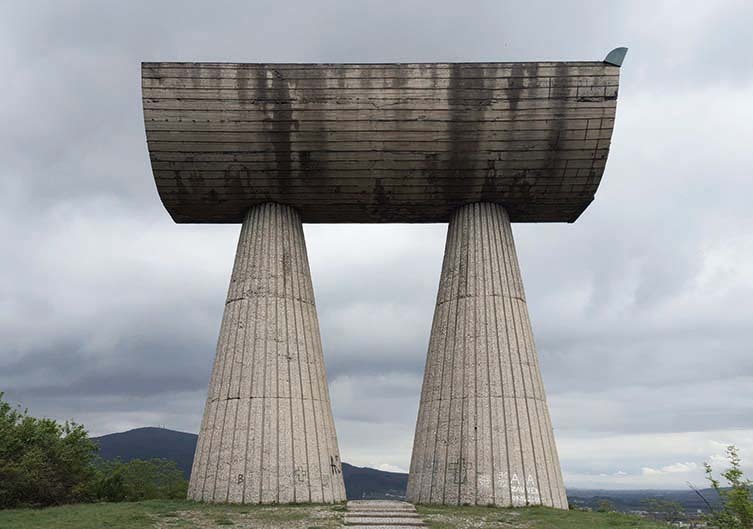 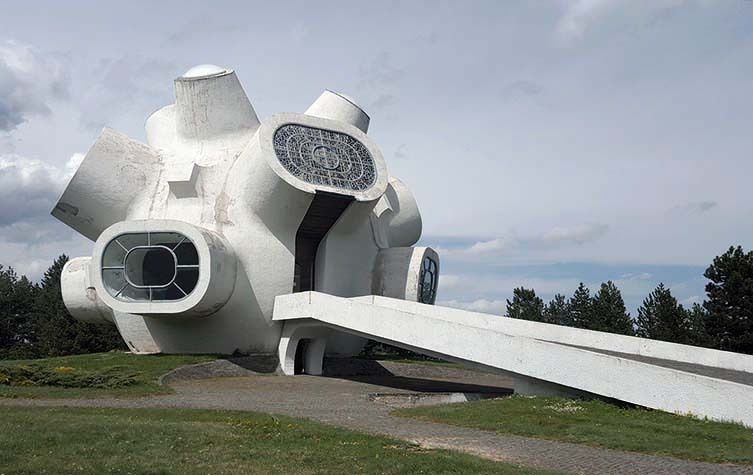 Documenting more than 80 examples of these brutalist, otherworldly monuments, the FUEL-published Spomenik Monument Database by Donald Niebyl is perhaps the most comprehensive survey available of this obscure but storied architectural phenomenon. 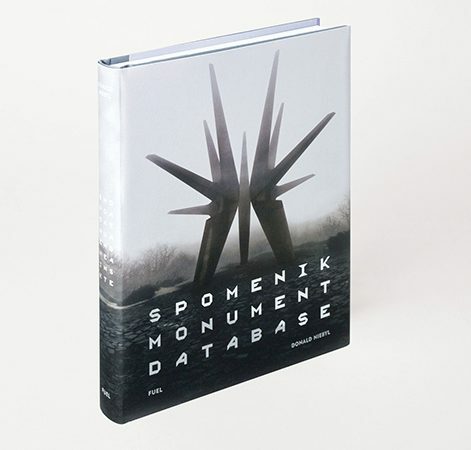 Complete with fold-out map that shows the location of each spomenik using GPS coordinates, the 208-page hardback with dust jacket provides a fascinating insight—taking readers on a journey of vital sociopolitical history and its surprising architectural legacy. 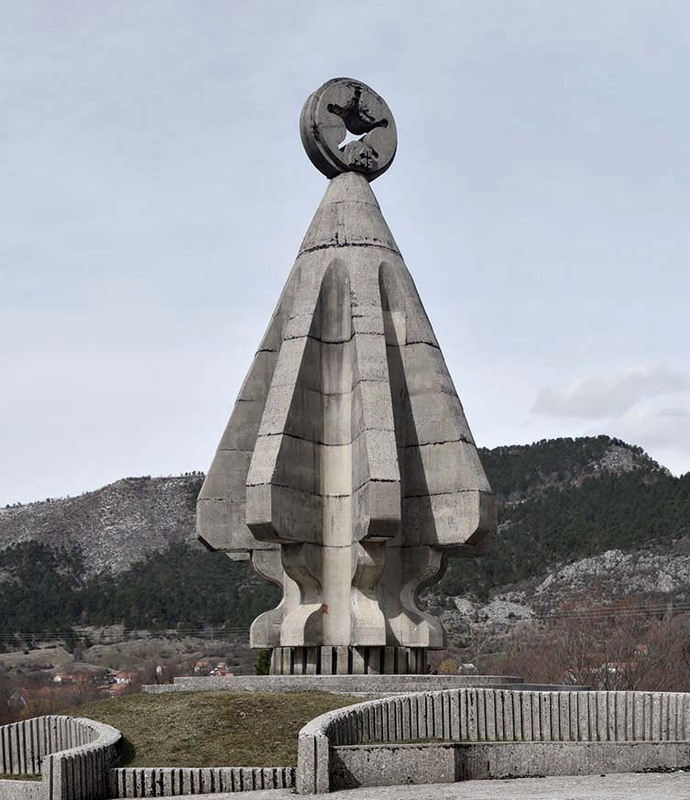 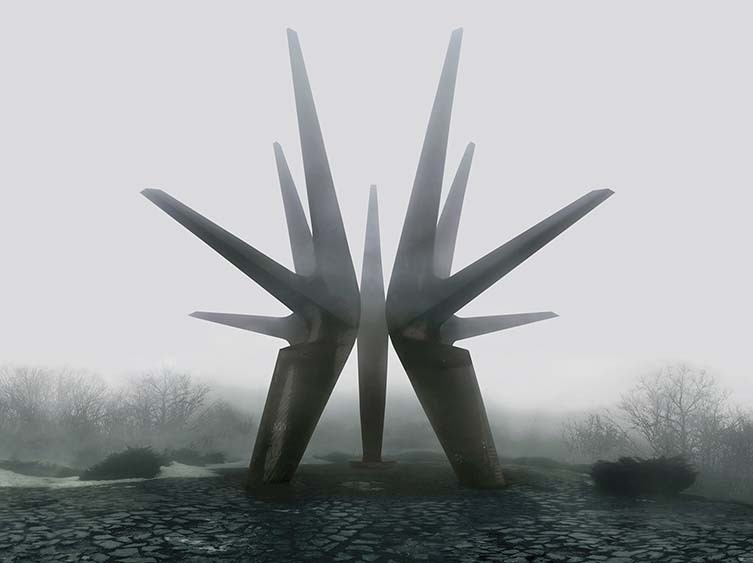 From the Vojin Stojić- and Gradimir Medaković-designed Monument to the Fallen Soldiers of the Kosmaj Partisan Detachment at Mount Kosmaj, Serbia; the Ilinden Memorial, a bulbous and uneasy home-like monument situated in Kruševo, Macedonia; to Memorial Valley of Heroes, a complex commemorating the Battle of the Sutjeska standing at 15 metres high and 25 metres wide, this exhaustive compilation compiles the Spomeniks that survived the conflicts that extended through the Balkan region in the 1990s—haunting cultural markers whose stories demand to be told. 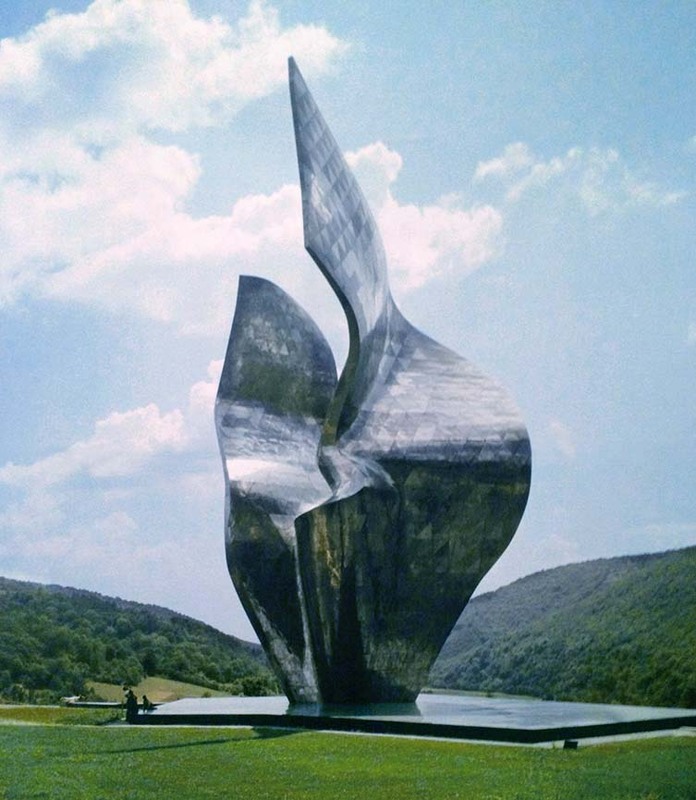 Spomenik Monument Database is available now from FUEL.